Do you suffer with daily pain? Is it the result of an accident or sporting injury or just down to getting older? No matter what the cause of your pain, if you need a physiotherapist in Toft, we can help you. At Physio Wellbeing, our team of qualified and highly trained physiotherapists have years of experience treating many different individuals with an extensive range of ailments. If you have been involved in a road traffic accident or a trip or fall our physiotherapists’ expertise will not only treat your injury but they will also offer your support and advice throughout your treatment plan. Our expert physiotherapists are also highly skilled in treating sports injuries quickly and efficiently, allowing you to get back to what you love as soon as possible. As the body ages, individuals can find themselves suffering muscle and joint pain which they never experienced in their younger days. 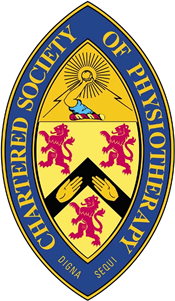 Physio Wellbeing’s staff are highly trained in the most recent physiotherapy techniques and methods to ensure that they can offer their clients with the best service and treatment possible. Using a thorough assessment if your injury or pain we can construct a treatment plan designed around you. We will gather as much information as possible about your lifestyle and how the injury happened or the when the pain originated a tailor make the treatment to be as unique as you are. Our highly quality service and reasonable prices really do make us the best choice for physio in Toft. Why not visit us in our relaxed and comfortable clinic or contact us using the telephone number provided. If you would prefer us to contact you, then simply fill in the contact form below and a member of our specialist team will be in touch to discuss your requirements and our treatment options.